John H. Trotter, D.D.S., M.S. Dr. John H. Trotter earned his Doctor of Dental Surgery (D.D.S.) degree from the University of Southern California School of Dentistry. Upon graduation, he was selected to join Omicron Kappa Upsilon (an honorary dental society). He was then accepted into the 3 year, dual-degree orthodontic program at the University of Southern California where he received both his Specialty Certificate in Orthodontics, and a Masters of Science (M.S.) degree in Craniofacial Biology. Dr. Trotter is very involved in the profession of Dentistry and Orthodontics. He is a member of the American Dental Association, California Dental Association (serving yearly as a Host at the CDA Scientific Session in Anaheim), and the Western Los Angeles Dental Society. He is also a member of the World Federation of Orthodontists, American Association of Orthodontists, Pacific Coast Society of Orthodontists, and the California Association of Orthodontists. He has served the Pacific Coast Society of Orthodontists as the Continuing Education Chairman for the Southern California Component and the California Association of Orthodontists as the Chairman of the Strategic Planning Committee and member of the Board of Directors. Since 2010, Dr. Trotter has served the California Dental Association and the California Association of Orthodontists as an orthodontic representative to the Peer Review Committee for the Western Los Angeles Dental Society. 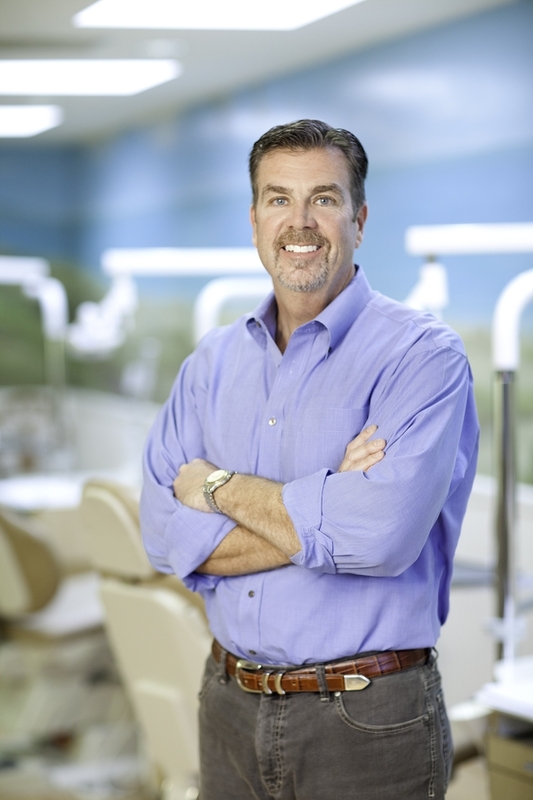 In 2006, Dr. Trotter was elected Secretary-Treasurer of the California Association of Orthodontists. After serving his term as Secretary-Treasurer, he assumed the position of President-Elect in 2007, and ultimately, became President of the California Association of Orthodontists (CAO) in 2008. In 2009, Dr. Trotter became the Immediate-Past President of the CAO and also finished his 4-year term as a member of the Board of Directors for the Pacific Coast Society of Orthodontists. The California Association of Orthodontists represents some 1600 orthodontists that practice in the State of California. In June of 2016, Dr. Trotter was re-elected to the Board of Directors for the Pacific Coast Society of Orthodontists, where he currently serves in a number of different capacities and committees. In February of 2005, Dr. Trotter achieved his professional goal of becoming Board Certified with the American Board of Orthodontics. Dr. Trotter currently maintains a non-time-limited Certificate with the American Board of Orthodontics. He is also a member of the College of Diplomates of the American Board of Orthodontics. Dr. Trotter was an Assistant Clinical Professor in the Orthodontic Department at the University of Southern California School of Dentistry from 1994 to 2001 and since 2005, an Assistant Clinical Professor in the Graduate Orthodontic Department at USC. Dr. Trotter also served as the Secretary and Treasurer of the USC Orthodontic Alumni Association Board and as President of the Alumni Board from 2003-2005. Locally, Dr. Trotter was a regional referee with the AYSO for 4 years, previously served on the Board of Directors of the Palos Verdes Water Polo Club Team and the Board of Managers for the Torrance/South Bay YMCA, and currently serves on the Dougherty and Tanaka Orthodontic Foundation which supports the USC Graduate Orthodontic Department. Dr. Trotter and his wife Irene live locally in Palos Verdes and enjoy spending time with their two boys (Zack and Ben) water-skiing, snow-skiing, playing tennis, and visiting the beach.